It's the time of year in which I think of things that I can only work on outside to get done over the summer. This summer, I really want to work on a stained glass piece (can't do that inside because of the fumes), some sun printing and some staining. That's right, staining wood. Many people are afraid of staining, because it is possible to do it wrong, and then you have to try to fix it. Lets face it, folks, the more you mess with it, the more it turns into a train wreck. Luckily, in this day and age of the internet, there's lots of tools available to help you achieve the look you're going for. One of these great sites is Staining Made Simple by Flood® Wood Care. It has guides to stain everything around your house, like your deck, siding, furniture, playsets, and fence. They walk you through your project, including factors like what kind of wood you're staining, what condition the wood is in and will even calculate how much that you need for you. It's really a great large scale resource. and then walk through their steps to find the perfect stain, quantity and store for you! But wait, you say, I don't want to stain something that large, or do something that boring. No problem! 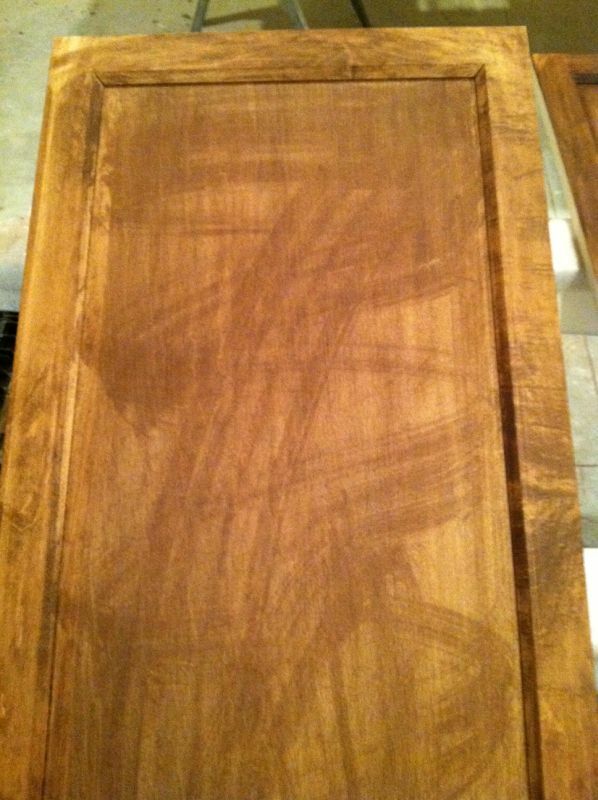 I've found some awesome DIY staining projects that you can try that don't require a perfect stain. First and foremost, are my two favorites, which are just gorgeous! This gal takes the stain and uses it as a paint! She has applied the stain more heavily and let it set for longer on th areas that are darker and gently wiped off the lighter areas just a little bit at a time. Isn't it gorgeous? These cabinets use a stencil, which instead of paint, you apply wood glue, and THEN stain, which will leave your stenciled wood glue in the negative. Awesome! And for a little more help, make sure that you visit the Flood Better Backyard Sweepstakes, where you can win a $1500 gift card to help make your backyard better! Sweepstakes ends on 5/17/13, so enter today! NO PURCHASE NECESSARY. Legal residents of the 50 United States of America and (D.C.) 18 years and older. Ends 5/17/13. To enter and for Official Rules, including odds, and prize descriptions visit www.facebook.com/flood. Void in Puerto Rico and where restricted or prohibited. This Sweepstakes is in no way sponsored, endorsed or administered by, or asccociated with Facebook. You understand that you are providing your information to Sponsor and not to Facebook.